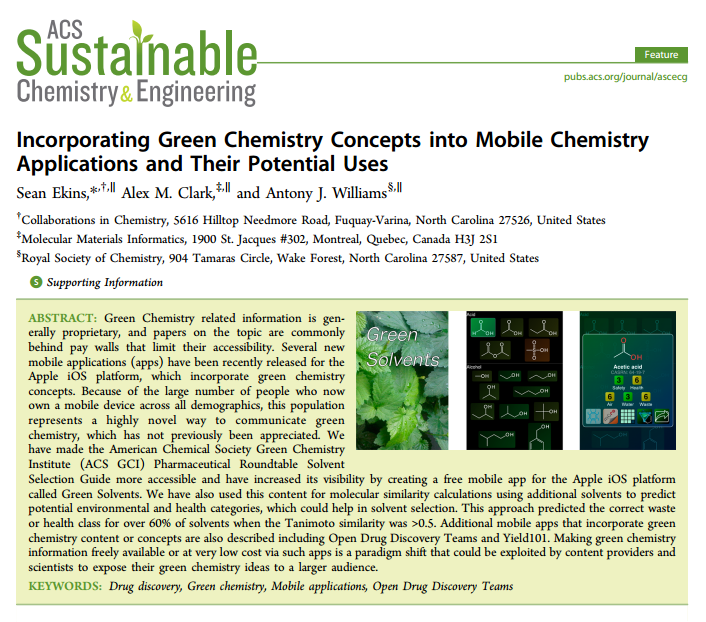 There is now at long last a publication describing our efforts to promote green chemistry using mobile platforms: see the latest article in ACS Sustainable Chemistry and Engineering. It’s free to download the PDF, so check it out now. The article describes the Green Solvents app, the green-relevant calculations that are included in the Yield101 app, and the Open Drug Discovery Teams topic devoted to green chemistry. There’s also a nod to the Lab Solvents app (for Android), which is a more recent creation.